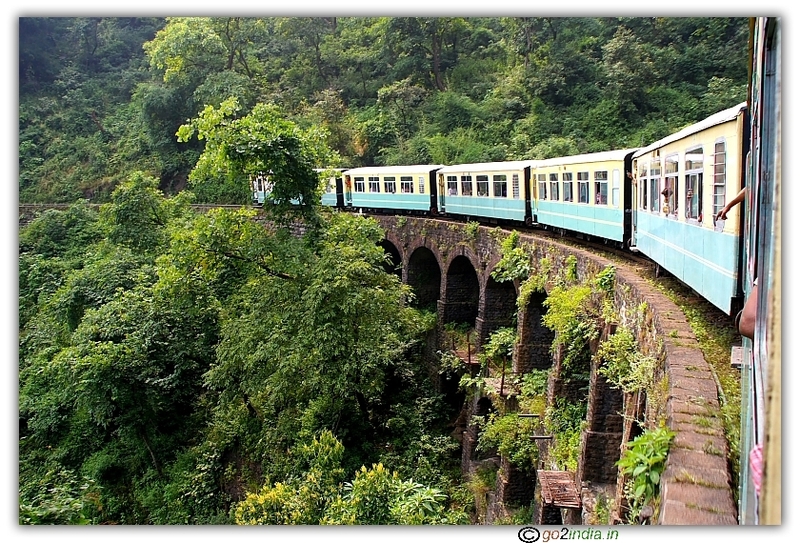 This valley is located at a distance of 12 KM from main town before Kothi. 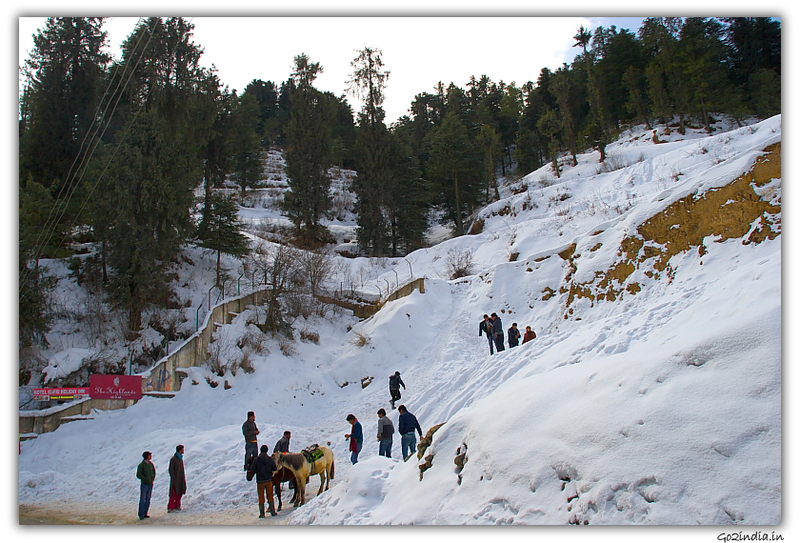 The place is famous for adventurous sports like Bungee jump, Paragliding, Zorbing, horse riding, trekking and skiing. 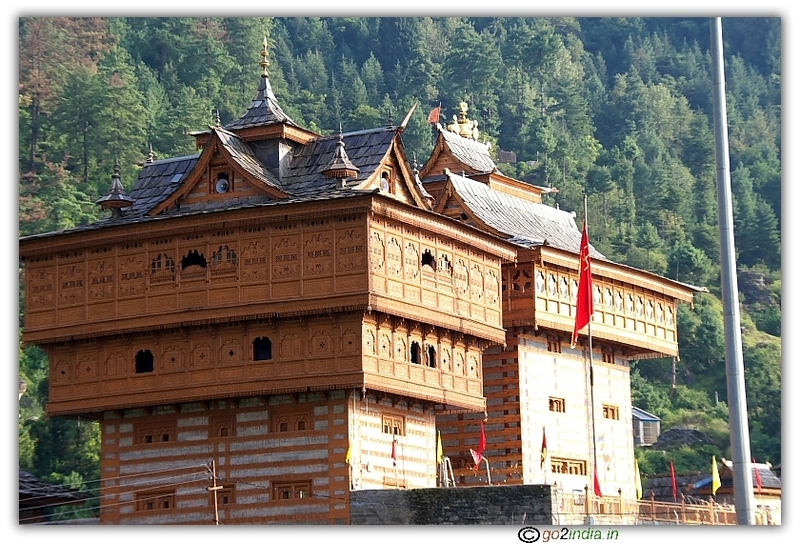 Kothi offers picturesque view of towering cliffs, frosted hillsides and undulating meadows. 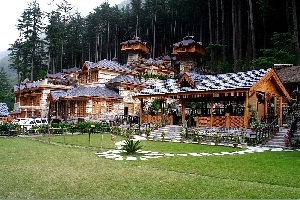 This place is on the way to Rohtang but take left diversion at the village Palchan. 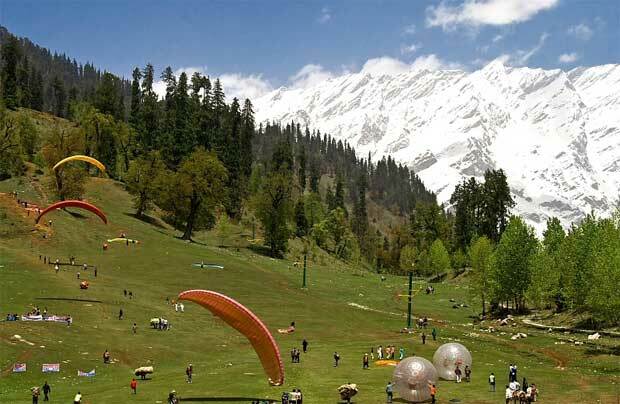 The friendship valley which is just behind Solang is used as training camps for mountainers and trekkers. The national Winter Skiing championship is also organized here. 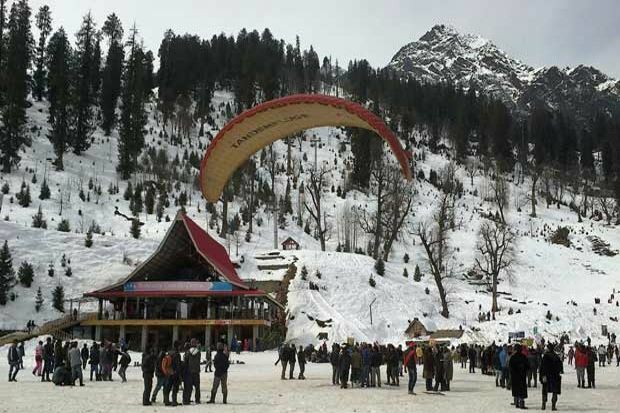 Solang valley is nearly 2500 Mtrs above sea level. We did paragliding here and was a pleasure. A little bargain is available on the price. It depends on from what height one wants to have paragliding. 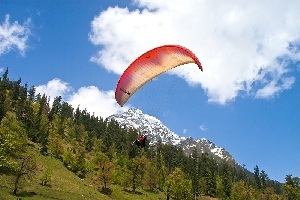 We paid INR 750 from the peak most point and the total paragliding time was 45 minutes. One has to trek to this peak. Horse facility is also available who cannot climb the hill with additional charges. There are local photographers who take your photographs (INR 150) while you are in the air. Even video (INR 200) also will be available. 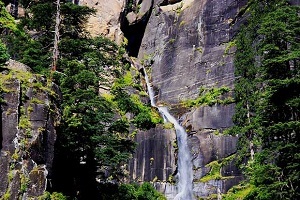 It is worth the amount as the moment is what one wishes to see, enjoy and recollect the past later. Depending on the height the fly rate is Rs 750, Rs 1000 � 1500, Rs 3000. 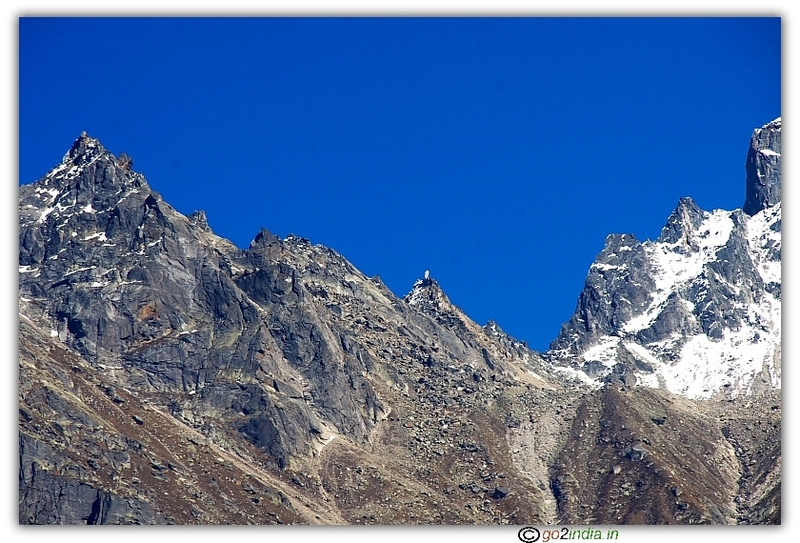 Visitors has to trek to this peak or cable car can be used. Horse facility is also available who cannot climb the hill. There are local photographers who take your photographs (INR 200) while you are in the air. Even video (INR 300) also will be available. It is worth the amount as the moment is what one wishes to see, enjoy and recollect the past later. Nearly 1.8 KM length , Price is Rs 500/- per head in both ways. Time it takes 10 minutes. Spot booking is available. No other booking facility is available. Anjali Mahadev Shiv Ling is there at hill top at a distance of 2 KM. 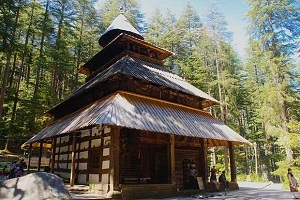 Tourist can reach the temple by horse or by trekking. The Shiva Linga is formed by solidification of glacier during winter or cold seasons. This ice Shivling is not available in summer seasons ( after March end ) because of melting of ice.